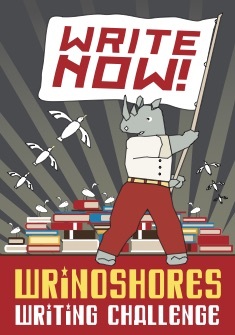 Greetings WriNoShores and other assorted writer friends! How about a little warm-up to this year’s NaNoWriMo? Most of you will have found us through NaNoWriMo, but for those you dragged here by a friend or happenstance, and unfamiliar with this awesome event…read this. For those new to the concepts…a pantser is someone who writes on the fly, a plotter makes decision about their story and and characters before they write, and a hybrid is somewhere in between. How you approach novel writing is personal, and takes time to discover. My advise is to read about your favorite author’s process. Two books I recommend are Stephen King’s On Writing and Elizabeth George’s Write Away. Both are masters in their genres, and attack writing from very different perspectives. I’m going to keep this post short and poll you on the Facebook Page as to what subjects you might like to delve into, or questions you might have about writing, and NaNoWriMo. Feel free to ask here too if FB isn’t your thing. Or follow us on Twitter. More info for newbies and prepping for this November event can be found here on the NaNoWriMo website. This is not an official NaNoWriMo site nor have the contents been reviewed by National Novel Writing Month. For more information on National Novel Writing Month, visit nanowrimo.org.